Imagine earning points for being a great patient and having a great smile! 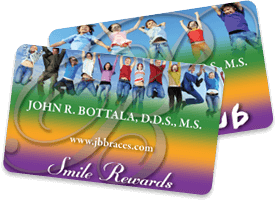 With Bottala Orthodontics, you get to join a membership club of lucky users who earn points for doing all kinds of awesome things. And the best part is that you get to use your points to play games, order gift cards and more! Bottala Orthodontics has served the children and families of Chino Hills and Chino with quality orthodontic treatments since 1997. We are known in our community for our wonderful doctors, great customer service, and friendly staff! Your whole family will love our welcoming atmosphere that has a game area for the kids as well as movies and snacks for the whole family. Dr. John Bottala provides the highest quality of modern orthodontic services, for smiles that last a lifetime! In addition to braces for children, teens, and adults, we also offer Invisalign® and Invisalign Teen® clear aligners, as well as Damon® Smile self-ligating braces, which often provide faster treatment times. Our array of services enables us to give you the treatment plan that best fits your needs and goals. 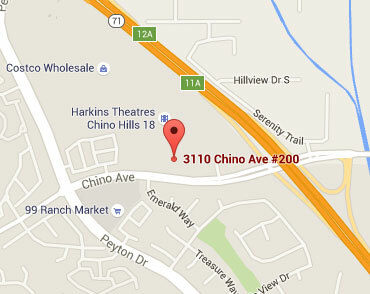 Contact our Chino Hills orthodontic office to schedule your complimentary consultation! We will perform a simple oral exam to determine which treatment is best for you and will take the time to answer all your questions. Give us a call today and join our family of happy patients!